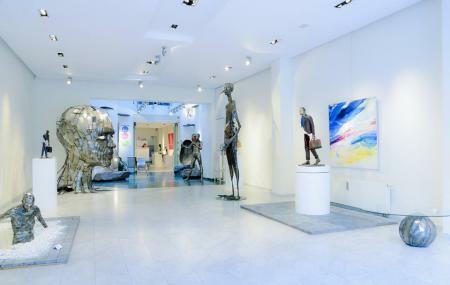 This is a contemporary and modern art gallery with rotating exhibits by some incredible artists. The good part is if something really catches your eye and you simply must own it, the gallery will let you purchase your heart’s desire. It can be quite expensive though, as the stuff here is really carefully curated and of great reputation. Check out the gallery website for a catalogue of the artists represented and samples of their works. The gallery also organises interesting themed exhibitions. The staff are very helpful and will knowledgeably explain the significance of the art you see. It is impossible to have bad experience here. It's a cool art gallery. Une chouette galerie bruxelloise avec un super accueil! Je pense que c’est en vente malheureusement. Courez y!